[possible viral aetiology] Citrus chlorotic dwarf virus (CCDV). 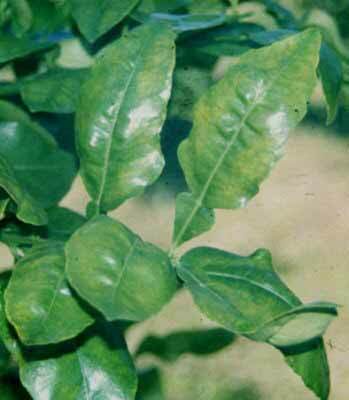 Citrus chlorotic dwarf, citrus chlorotic dwarf disease (CCDD). Vectored by bayberry whitefly (Parabemisia myricae (Kuwana)). 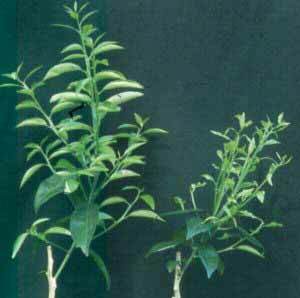 It is transmissible by grafting on infected buds, slash inoculation from extracts of infected leaves and bark in phosphate buffer. 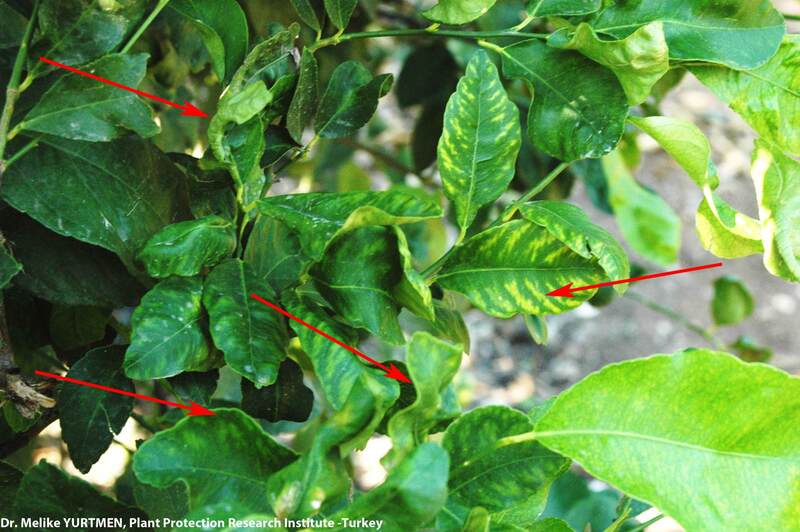 All citrus cultivars are susceptible. Citrus variegation virus (CVV), satsuma dwarf virus (SDV), citrus leaf rugose virus (CLRV), and citrus yellow vein clearing virus (CYVCV). 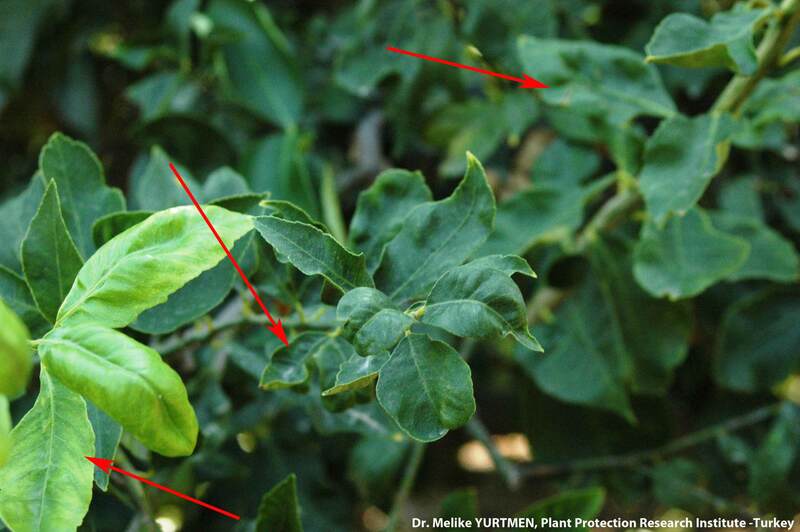 Leaf symptom - chlorotic flecking on young leaves. 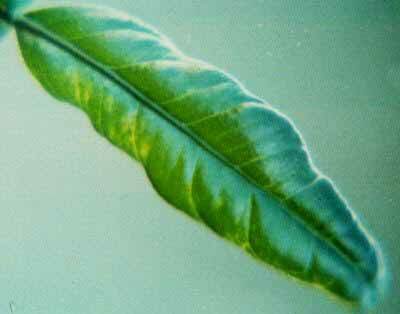 Leaf symptom - chlorotic flecking and warping on leaves. 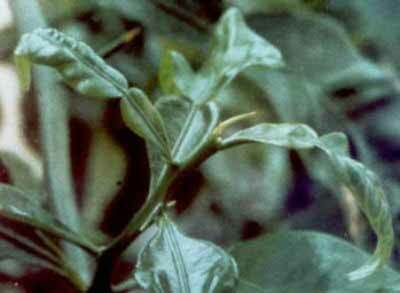 Leaf symptom - gondol like leaves with inverted cupping on young leaves. Leaf symptom - distorted, puckered both young and old leaves. 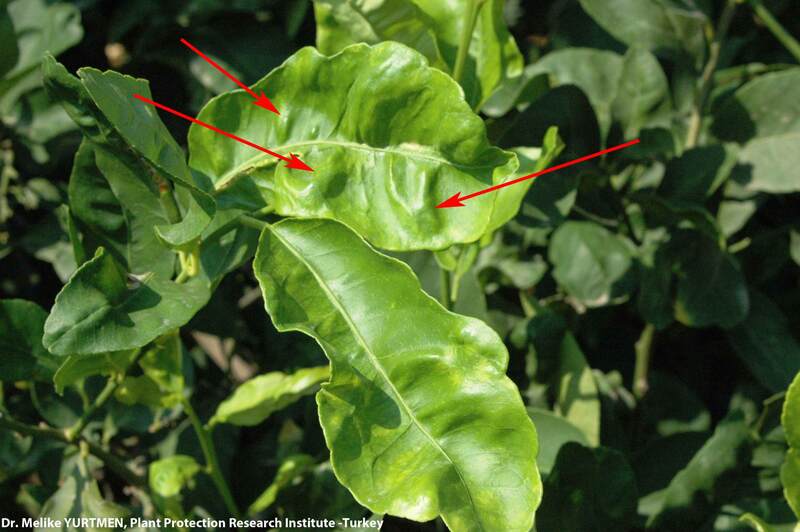 Leaf symptom - wrinkled/curled leaves with some bumpy areas. 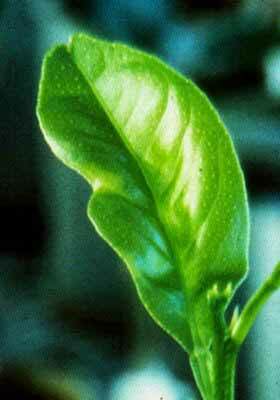 Leaf symptom - distorted and warped mature leaves with nutrient deficiency. 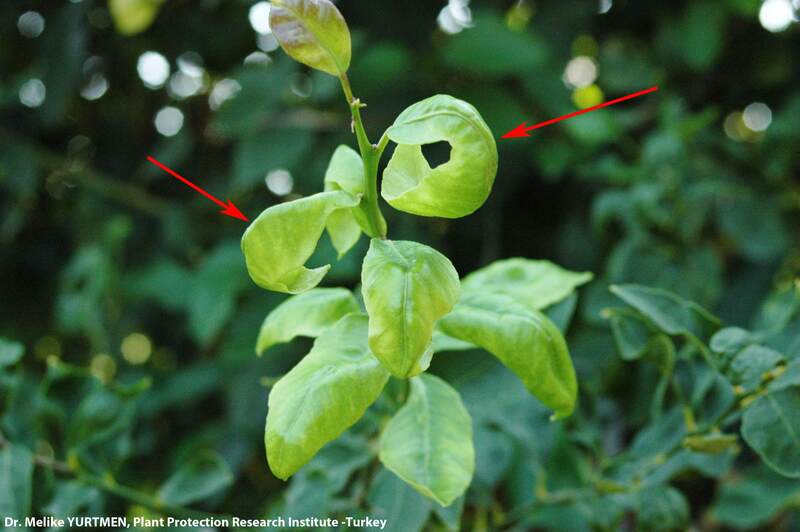 Leaf symptoms on Red Blush grapefruit leaves. Courtesy EcoPort (http://www.ecoport.org), Kersting U. 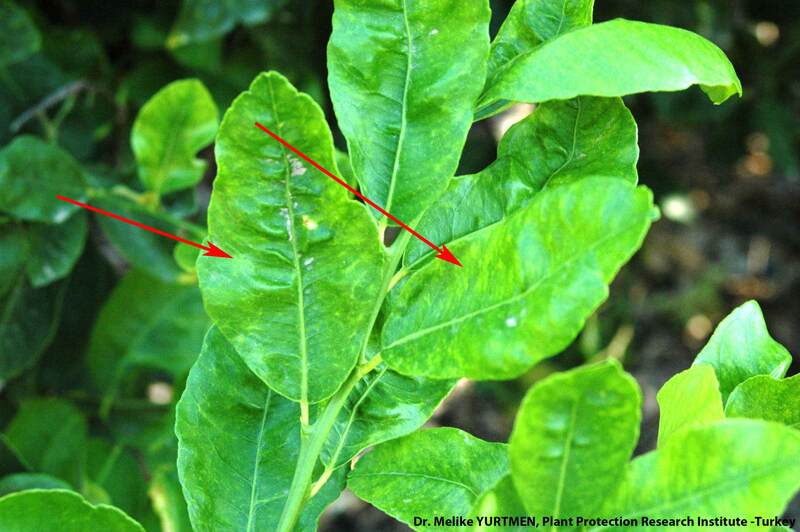 Leaf symptoms of CCDV on leaves of Minneola tangelo. Courtesy EcoPort (http://www.ecoport.org), Kersting U. Tree symptom on Fremont mandarin on sour orange rootstock 10 weeks after inoculation. Control is on the left. Courtesy EcoPort (http://www.ecoport.org), Kersting U. 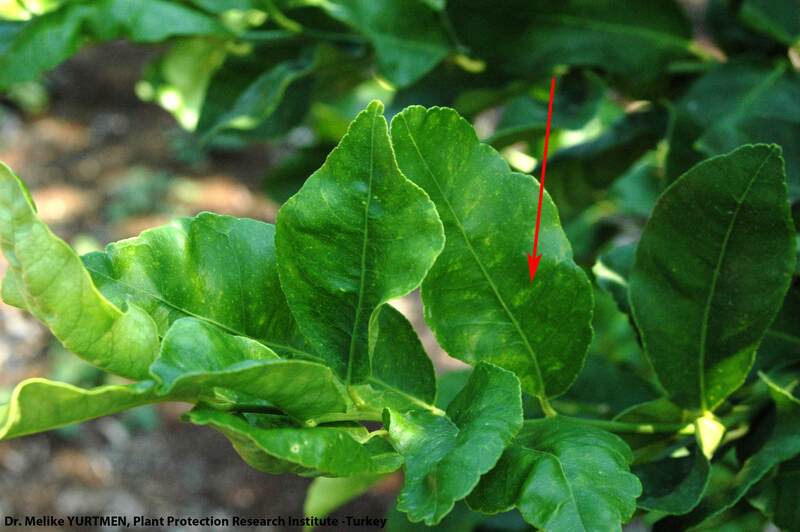 Leaf symptoms - typical bent tip symptoms of CCDV on leaves of sour orange seedling. Courtesy EcoPort (http://www.ecoport.org), Kersting U. 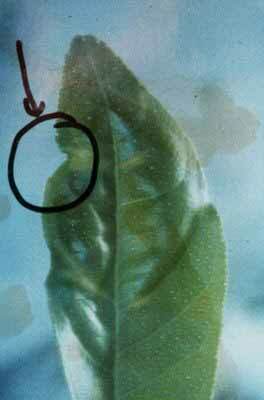 A close-up of the v-notch on a leaf of a citrus chlorotic dwarf inoculated rough lemon seedling. Courtesy EcoPort (http://www.ecoport.org), Kersting U. 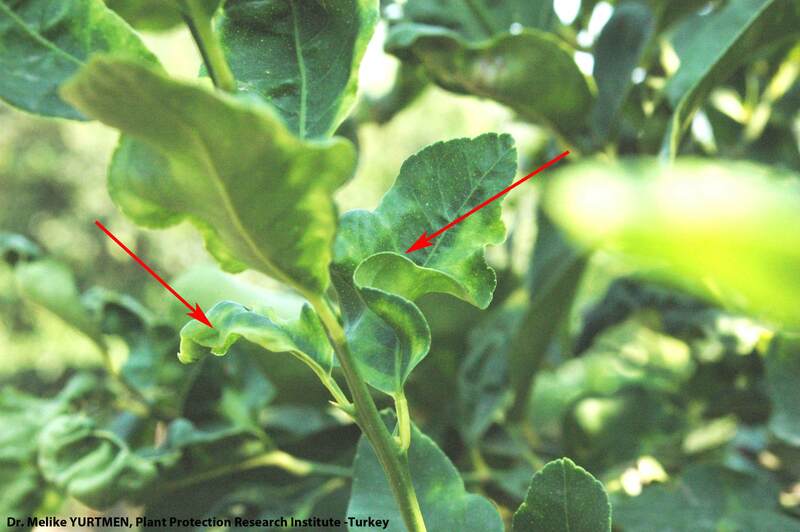 Leaf mottle and tip notches on rough lemon 10 weeks after inoculation with CCDV. Courtesy EcoPort (http://www.ecoport.org), Kersting U.